Wheelbarrows for Children - great fun! 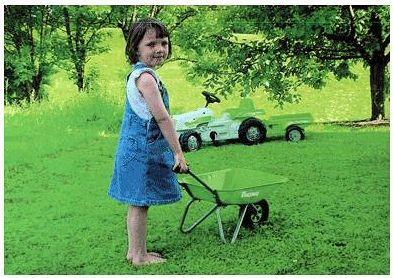 Kids love playing in the garden, and they also like to help out with jobs too. Imagine if they had their own little wheelbarrow! More than just a toy, these barrows are made from metal and are fully functional. The children will love to fill them up with weeds and soil and cart the stuff around the garden, or perhaps just give teddy a ride! Oh to be a child again!